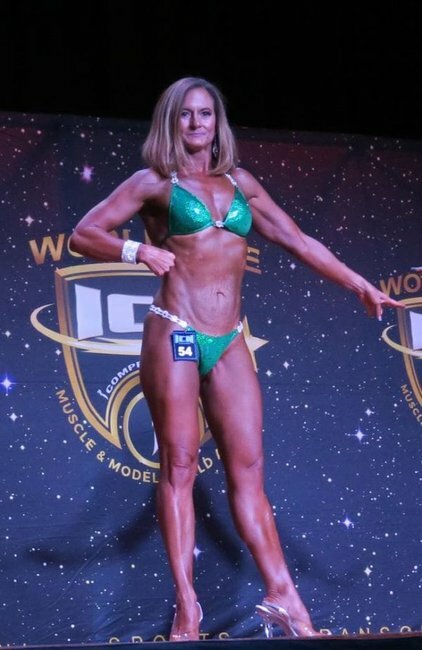 Natalie Joyce, 49, has stepped out on stage in a fitness modelling competition in Newcastle in the ultimate re-launch, and it is everything. 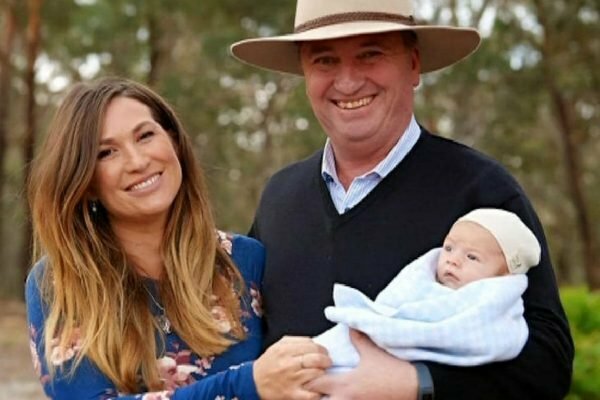 Former Deputy Prime Minister Barnaby Joyce’s very public affair and subsequent baby with his former staffer Vikki Campion left Natalie’s life in tatters just over a year ago. “This situation is devastating on many fronts,” Natalie Joyce said at the time to The Guardian. 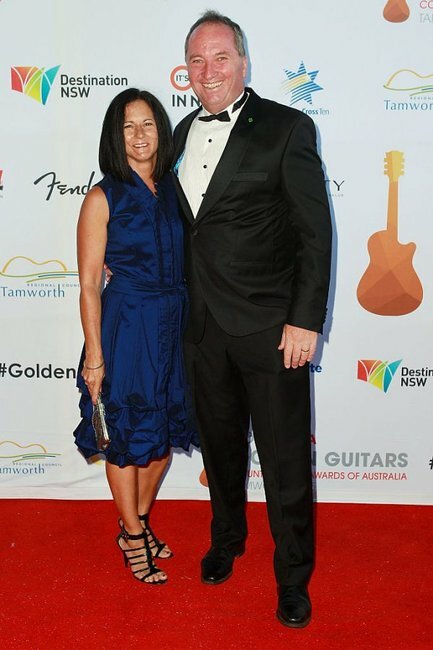 “For my girls, who are affected by the family breakdown, and for me as a wife of 24 years, who placed my own career on hold to support Barnaby through his political life. Here’s a clip from the controversial interview Barnaby and Vikki did on Sunday Night. Post continued after video. “Our family life has had to be shared during Barnaby’s political career and it was with trust that we let campaign and office staff into our homes and into our lives. “Naturally we also feel deceived and hurt by the actions of Barnaby and the staff member involved,” she said. The deceit was further rubbed in, in a paid Sunday Night interview by Joyce and Campion. Barnaby, Vikki and their son Sebastian. Image: Seven. Joyce reluctantly admitted he had been having an affair "in the terminology of it," and blamed his infidelity mostly on the physical distance from his wife, who he shared four daughters with. Meanwhile, Vikki detailed their love story explaining how they&apos;d "become good mates first." "You can&apos;t help who you fall in love with," she&apos;d said. Well, a year later. Natalie has claimed back the narrative. Natalie on stage in the iCompete bodybuilding competition. Image: supplied. iCompete Natural NSW State President Rab Mehajer told Mamamia, she&apos;d actually wanted to compete three years ago - but finally made the dream a reality on Sunday. He says a lot of women join their competitions as a one off, often they&apos;ve come from marriage breakdowns, or have had great trauma in their life, and the competition is a way of doing something for themselves. He is trying to convince Natalie to continue competing; their next event is in Sydney in two weeks. A beaming Natalie won two medals on the weekend in the &apos;First Timers&apos; and &apos;Miss Fitness Model Momma&apos; categories at the North Coast Classic bodybuilding competition in New Lambton. "There were doubters, but you never did," she posted on Instagram to her trainer. "You believed in me, encouraged me, and with a strong guiding hand. Thankyou for being part of my amazing journey and to my friends who believed I could. Love you forever," she said. In March, Natalie told Woman&apos;s Day she looked in the mirror and thought, "I&apos;m not going to let someone else&apos;s appalling behaviour derail me." She had to make a decision, to either unravel or shake herself off and aim to get the best out of herself. "So I joined a local gym, and I&apos;ve never looked back," she said.